Zimbabwean banks have put their customers on fraud alert following an increase in card cloning incidents. The increase in card cloning follows a rise in electronic transactions in the country, as the Zimbabwean economy continues to grapple with cash shortages. The shortage of cash has seen the bulk of transactions, of approximately 96%, going through electronic platforms. According to the Reserve Bank of Zimbabwe, of the 371 million transactions carried out in the first quarter of 2018, 368 million transactions were POS and mobile payment transactions. While the move might have mitigated the impact of cash shortages, it has also resulted in an increase in an increase in card cloning. A report published by the Zimbabwe Republic Police in March disclosed that in the first quarter of 2018, at least $200,000 had been lost to bank card cloning. This has prompted banks to put their customers on alert against this type of fraud. On Friday, Nedbank Zimbabwe issued a notice warning its customers about the increased risk of transactions involving credit cards. 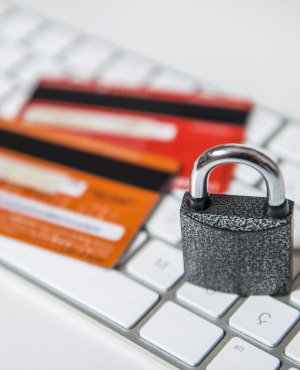 "In recent months, we have seen a number of incidents where clients’ cards have been skimmed at various outlets. "In an effort to curb the increase of card fraud, Nedbank Zimbabwe would like to shed light on how we can prevent these unfortunate incidences from occurring," said Nedbank Zimbabwe. The customer notice advised customers on how to guard against card cloning. "The most common methods are when cashiers 'clean' your card on their clothing, swipe your card on a point-of-sale (POS) device under the counter, or when they advise that the POS device is not working and take your card to another POS device that you can’t see. Your card is then swiped through a magnetic strip card reader and the encoded information on the magnetic strip is copied and your card is replicated in seconds. To get your PIN, another fraudster watches you as you enter your PIN on the POS device. "Remember: It’s your responsibility to protect and never reveal your PIN and to make sure that nobody is looking when you enter your PIN at an ATM or POS device." Old Mutual owned Bank Central African Building Society (CABS) also issued a warning and gave security tips against bank card fraud. Several other Zimbabwean banks have issued similar warnings. According to local experts and TechZim, it’s no surprise that fraud concerning card cloning is rising in Zimbabwe because all but one bank, CBZ in Zimbabwe, use old magnetic stripe cards, which are considered to be less secure compared to the relatively new chip cards. "Chip cards offer much better fraud protection than the (now) antiquated magnetic stripe cards simply because magnetic stripe cards use technology that can be easily be breached by fraudsters. "Magnetic stripe cards are magnetised. When you swipe them, the payment processor reads their magnetic fields and matches them to your bank account information. The problem with this is that the data is static, making it easier for fraudsters to lift your information and clone it onto a new card. In fact, there’s is a device called a skimmer, which they can get or make for as little as $20, that can clone a card pretty easily," said TechZim on its website.